Most of the MPs elected last week want to avoid a so-called "hard Brexit", pro-EU politicians claim. Having called Thursday's election to seek an increased mandate for her Brexit strategy, Theresa May ended up losing seats and her Commons majority. Conservative ex-minister Anna Soubry said: "The people have spoken - and they have rejected a hard Brexit." 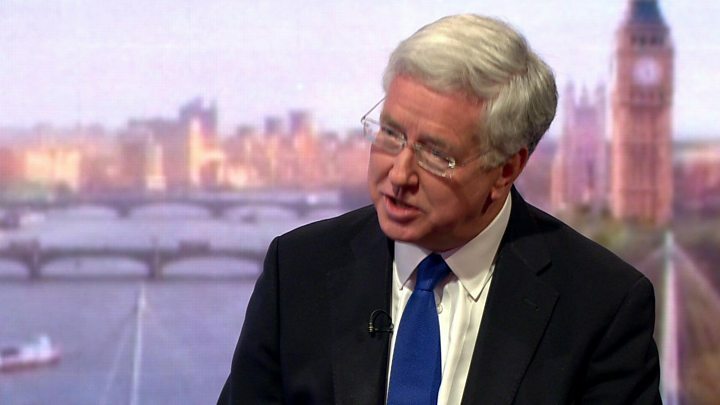 Defence Secretary Sir Michael Fallon said the government's view of Brexit had not changed. 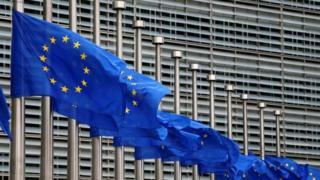 Negotiations with Brussels on the UK's departure from the EU are due to start on 19 June, and Mrs May is now seeking the backing of the Democratic Unionist Party to prop up her minority government. The DUP supports Brexit - but also wants to avoid a hard border with the Republic of Ireland and to maintain as far as possible the current access to EU markets - both of which would be jeopardised if the UK leaves without a deal in place, an outcome known as a "hard Brexit". And Ms Soubry - a leading figure in the Remain campaign before last year's EU referendum - told the BBC's Sunday Politics programme that Mrs May would have to listen to businesses and "wise owls" in her government who are calling for the single market to be a priority over immigration curbs. This is not the approach adopted by the PM, who plans to withdraw from the single market and customs union and bring net migration below 100,000. On the BBC's Andrew Marr Show, the pro-EU former deputy prime minister Lord Heseltine described Brexit as "the cancer gnawing at the Conservative Party" and urged a "period of contemplation" on the subject before negotiations begin. The "right leader of the Conservative Party", he claimed, could appeal to German and French presidents for a deal to keep us "within the European family" while addressing immigration concerns. But Labour's shadow chancellor John McDonnell told ITV's Peston on Sunday that full single market membership was not "on the table" and would be seen by voters as not respecting the referendum result. Speaking on Marr, Sir Michael said the government wanted maximum access to the EU single market and an "arrangement on immigration". He said he believed there was a majority in the Commons for such an approach. Media captionSir Michael Fallon: "We want a successful Brexit that is a new partnership with Europe"
"I think everybody wants to see an agreement in the end that does respect what the British people voted for last year - makes sure that our cooperation with Europe continues, our trade with Europe continues, our security cooperation with Europe continues," he said. Leave-backing Conservative MP Dominic Raab told the Sunday Politics the country was "quite clear that they want us to make a success of Brexit".